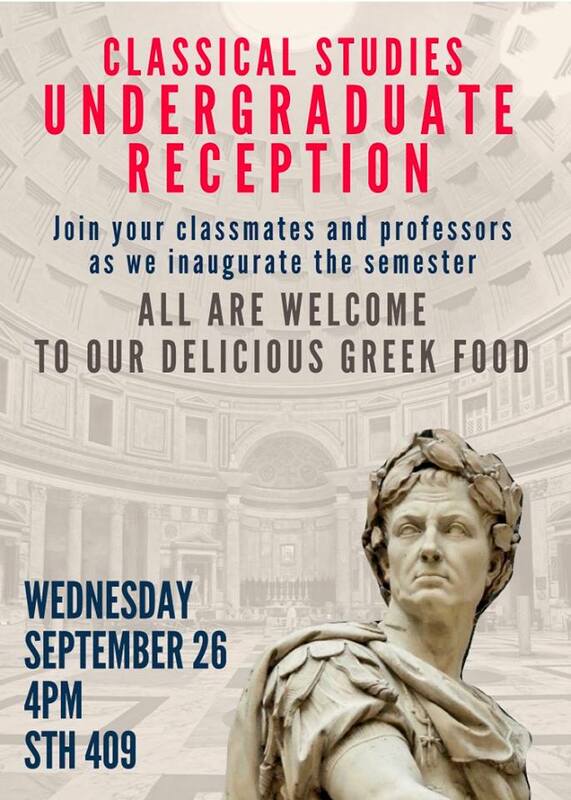 Current and former students of Classics courses, anyone who has participated in the Athens trip: you are all invited to this semester’s Undergraduate Reception! Wednesday, September 26, 4pm, in STH 409. There will be Greek food! This is a great chance to see each other again, meet other Classics students, and chat informally with professors.